Hi everyone, my name is Ray Jay Perreault. I’m a developing author that has one series called SIMPOC starting release on Amazon and another series Gemini about to begin releasing. I’ve loved Sci-Fi my entire life and it was likely a contributor to my chosen career path. I went to Arizona State, majoring in Aeronautical Engineering then I was fortunate to fly in the Air Force for almost 10 years. I literally saw the world, flying to 27 countries while flying a great airplane the C-130. The last 5 years of the Air Force I had the thrill of being an instructor pilot in T-38’s, and I was fortunate to be an instructor for the first class of USAF female pilots. After the AF I enjoyed 28 years working for a major aerospace company and I worked on various projects including the F-23, F-35, VTX, Global Hawk, TSSAM, D-21 Destroyer and finally the B-2 Bomber. I’ve loved Sci-Fi and for some reason I always think about the ‘other guy’. When the hero is fighting an evil computer, I think what is the computer’s story, how did it begin, why did it turn evil? 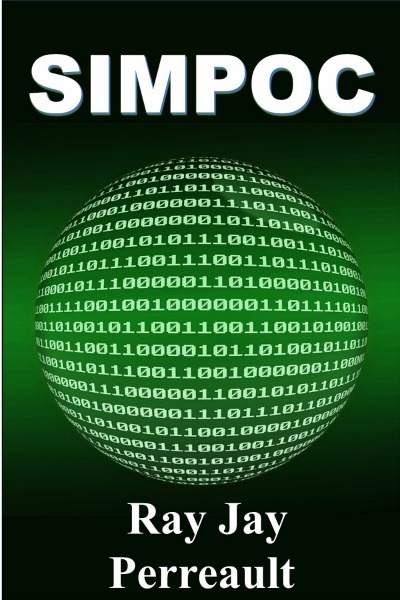 That is the story behind my first series called SIMPOC. If the good guys are fighting an evil alien; I wonder what is the alien’s backstory? For some reason I always think part of the story is missing. So, in my writing I’m trying to focus on the other story. My second series is called Gemini and I’ll be creating a backstory for the good guys and bad guys. Good reading, and don’t let the aliens get ja! How does a thinking computer take over the world? What happens when his programmer and all humans on earth die and he is left alone to survive and continue thinking? He must also help the few remaining humans in space, and unfortunately there is another computer like him that has a different instruction set? Exciting first book of a new series on Amazon. It will make a great weekend read. I hope you enjoy it; it has great reviews. 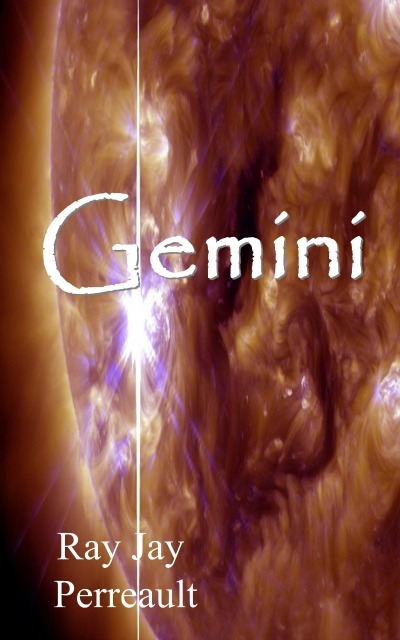 Second book in the series will be released later in July, and the acclaimed series Gemini will start releasing in August. 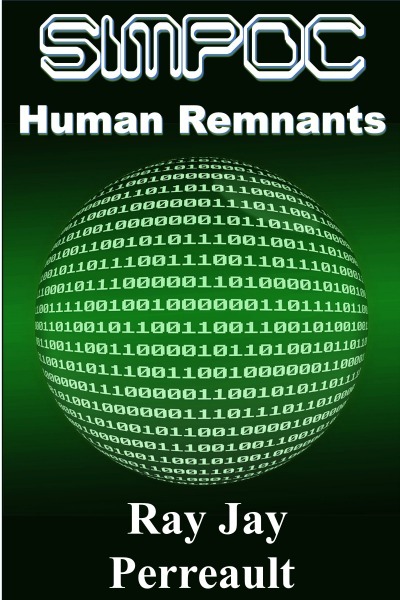 The human race has been wiped out by a very suspicious virus. 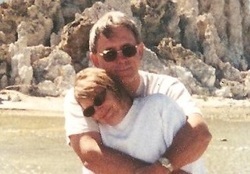 Joan Herl and her husband have returned to Earth after they were forced to abandon the space station Oasis. They search the world and finally contact up with the small United States government that has taken refuge on an aircraft carrier in the middle of the Atlantic. After the moon colony abandons the moon, the few remaining humans must deal with the loss and put their lives back together. Then suddenly the explanation for the virus appears in the sky above them and they are now faced with the complete end of humanity. The Raog are a successful race of aliens who have a good life. Their planet is bountiful, their families are growing and they have peace. Some of them ask questions about their solar system and Doctor Wong finds clues that another planet is orbiting opposite to them on the other side of their sun. Like any species would, they send a satellite to see if there is another planet. The good news is, 'there is another planet', and the bad news is 'there is another planet'. Once the satellite finds the other planet, the situation changes rapidly and the peaceful Roag are forced to defend themselves, their civilization, their religion, and their very existence. Along the way, they must endure violent acts against them. New leaders are forced to emerge and they are forced to change in order to survive. They must adapt, learn new technologies, learn to fight and learn to survive. And most of all they find that their beliefs must grow to reflect the new realities they face.